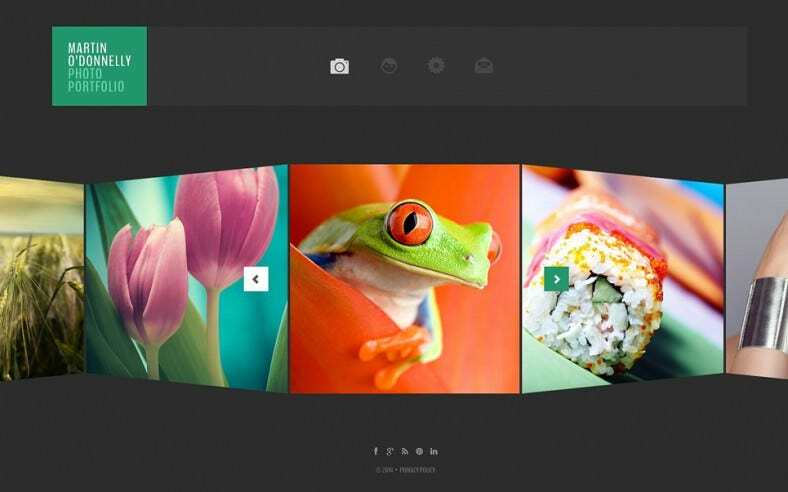 Present your digital art in style using the photography website templates. Optimized for maximum aesthetic detail, the numerous template layout options, color styling and background control functionalities ensure your works are presented the best possible way. Featuring full page transition sliders, gallery carousel plugins, customized digital fonts, and social sharing plugins, the free templates offer the complete package.You can also check Photography PrestaShop Themes. 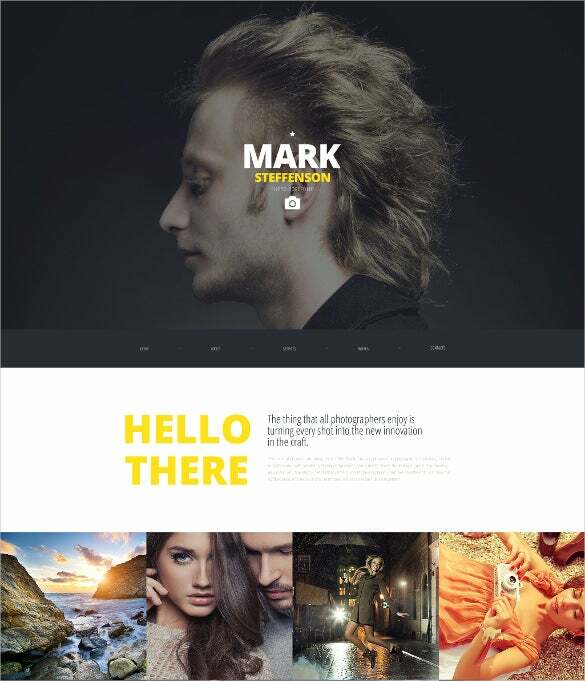 With the ‘Photographer Portfolio Responsive Website Template’, you can display your advertising, portrait and fashion content on the web and make an excellent presentation of your photographic skills. 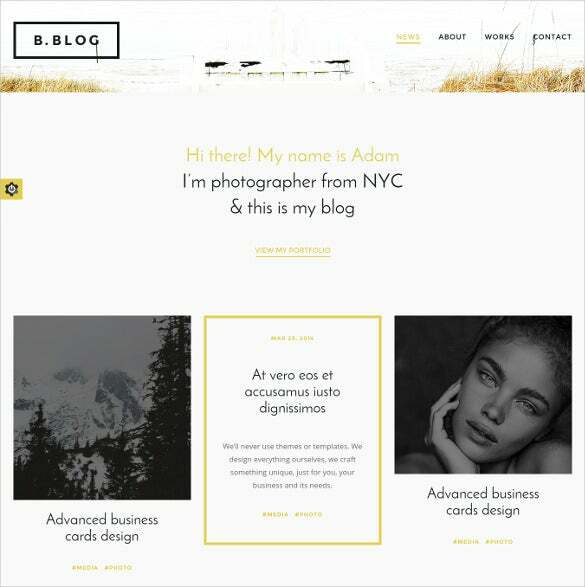 Create business cards design, display your clicked photographs and other necessary professional content on a neat and clean blogging profile with the assistance of the ‘Photography WordPress Website Theme’ template. 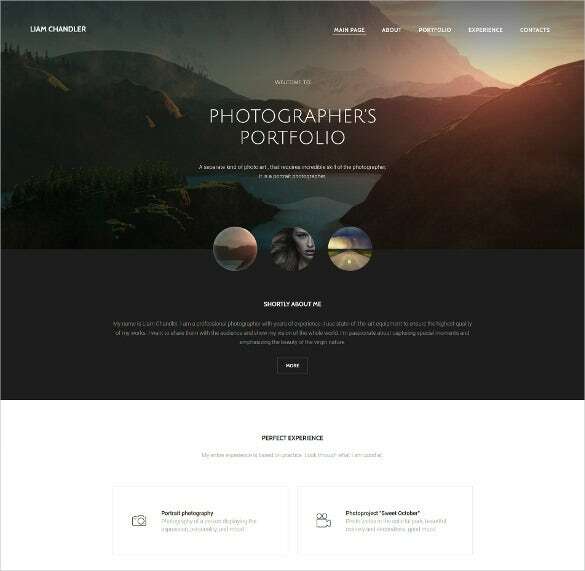 The ‘Photography HTML5 Website Template’ will suit your requirements if you are passionate about nature photography and intend to upgrade your photography business skills on the web to catch the attention of your potential clients. 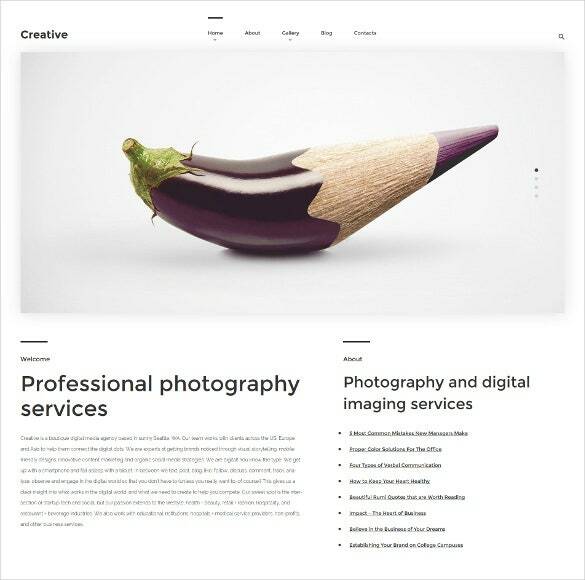 Create stunning visuals for your business photography with the ‘Aesthetic Portfolio Photography Website template’, design your own website portal and make impressions with different people far and wide across the globe. 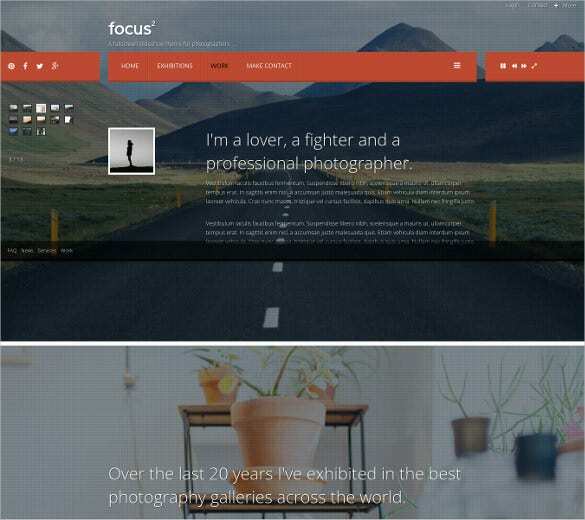 You can present your digital art with elan using the ‘Awesome Parallax Photographer Portfolio Website Template’. The numerous layout options, color styling and background control functions gives you maximum liberty to create the best in class template for your photography. 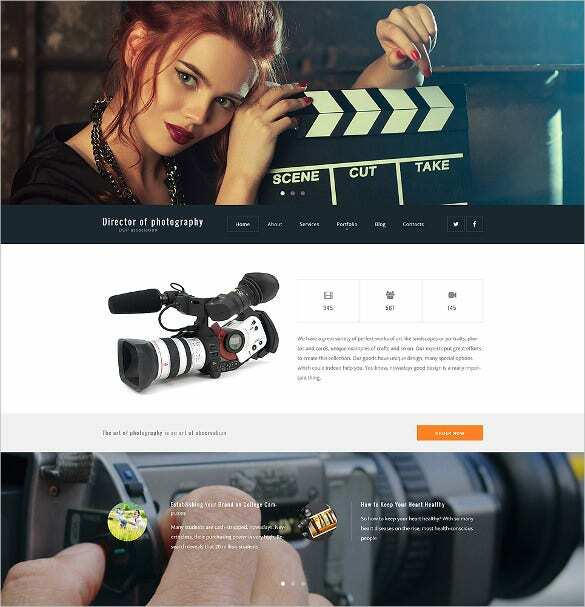 The ‘Responsive Photography Website Theme’ is equipped with full page transition sliders, gallery carousel plugins, customized digital fonts and social sharing plugins for you to make a whole new digital word for your professional photography website. 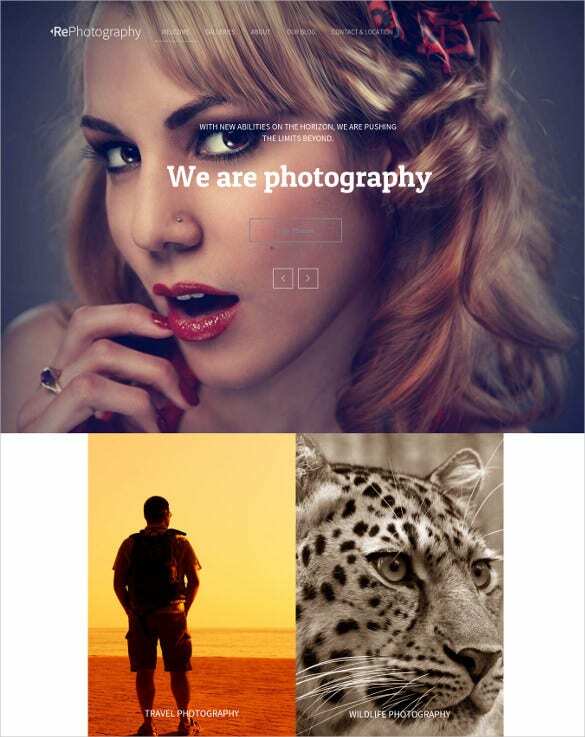 Story – This multi-purpose photography template is a niche and modernized WordPress template. It is creative enough to bring life to websites dealing with artworks, photography, graphic designing, and so on. It comes with full screen slider, unlimited sidebars, and advanced portfolio gallery. It is apt for students, graphic designers, photographers, and web developers. 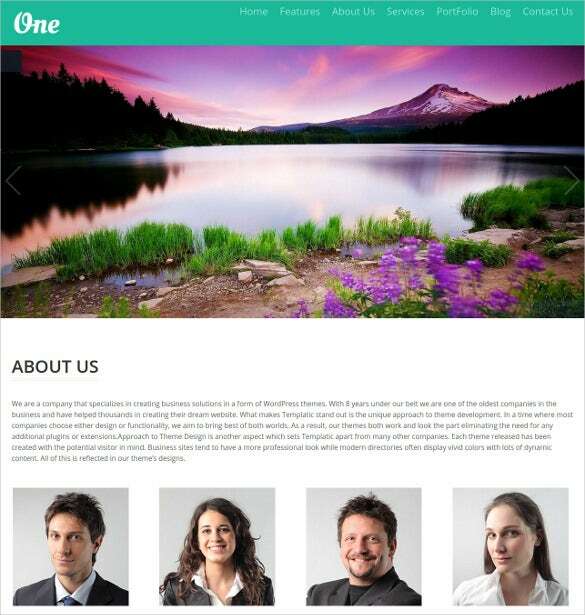 Oilumeo is a highly creative and 100% responsive template suitable for photography websites and business portals. It is perfect for professional photographers, design artists, graphic workers, and web development consultants. 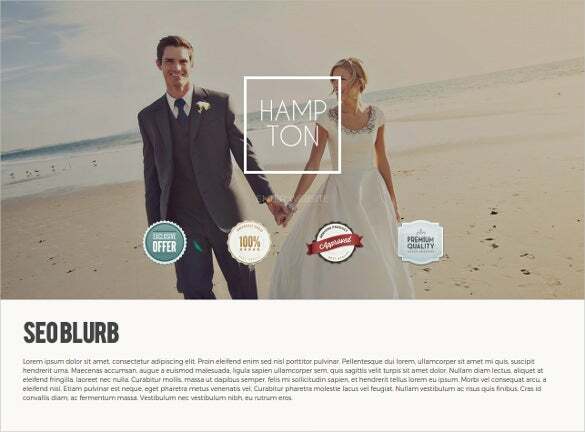 It features 8 layered PSD files, post format blog, Google web fonts, and parallax effect. It also comes with a home portfolio page. 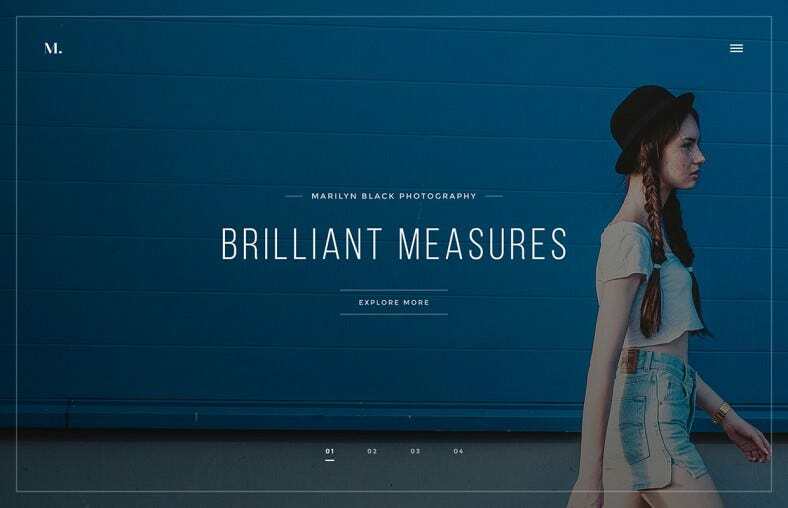 This premium WordPress template is suitable for designing photography websites, designer pages, and even portfolios and corporate profiles. Artists, artwork specialists, junior designers, and portfolio makers will find it equally informative and useful to work with. It comes with a robust admin panel and promises 100% responsive as well retina ready. This muse theme has clean and modern approach towards any site using it. The theme comes with custom CSS animations, font awesome icons, snazzy maps, and one click theme color changer to name a few. It is suitable for anyone and everyone using adobe muse like graphic designers, web artists, portfolio makers, and artwork specialists. 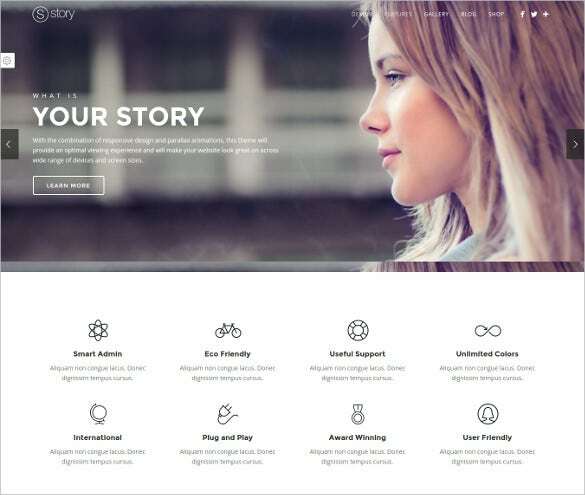 This wordpress template is suitable for your online blog and portfolio site. It comes with parallax effect, motopress editor, motopress slider, and cherry simple slider. 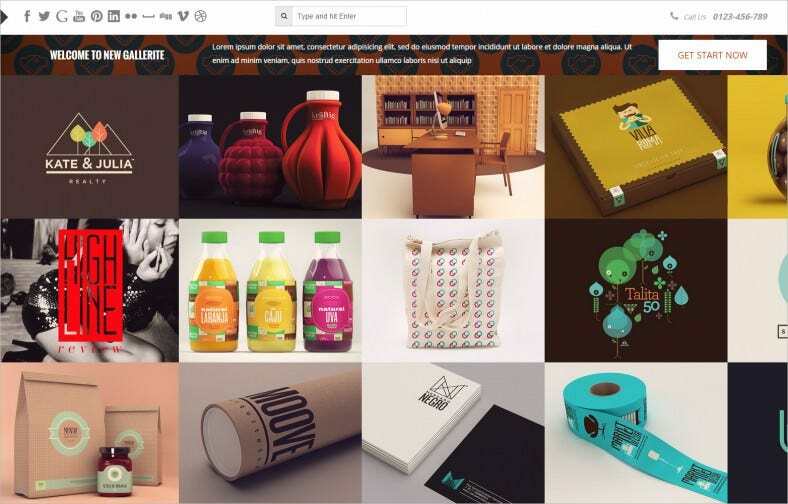 It is perfectly apt for bloggers, portfolio designers, media artists, and web developers. The presence of sample contents and sortable gallery makes the situation even better. 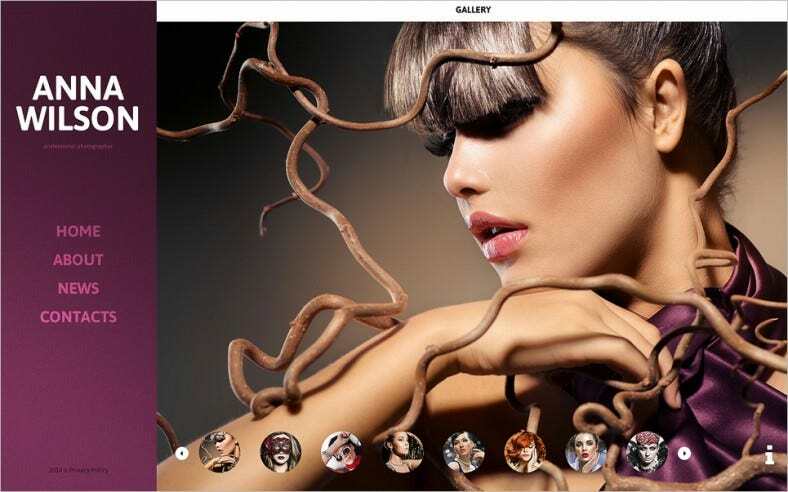 Gallerite is an extremely unique and interactive Joomla based template for portfolio sites. It features a very powerful admin panel, responsive grid, and unlimited module layout positions. 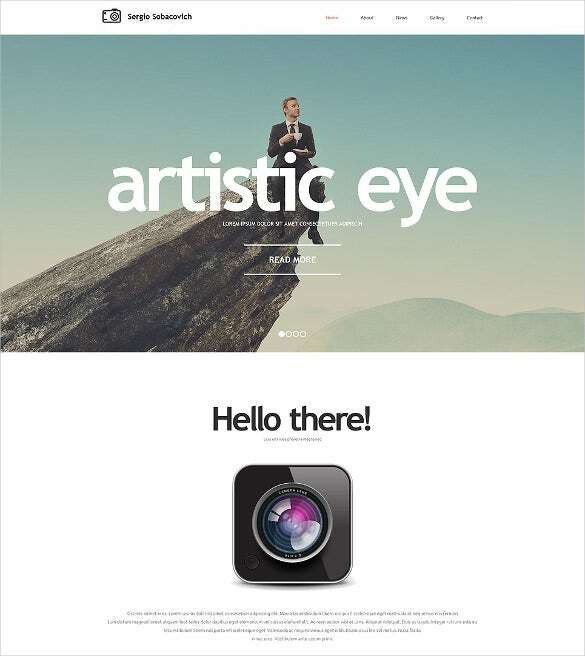 It is perfect for web designers, portfolio developers, graphic artists, and photographers. Developed with the Helix-II Framework, it comes with a Hover leftmenu sidebar and Acymailing for Newsletter. 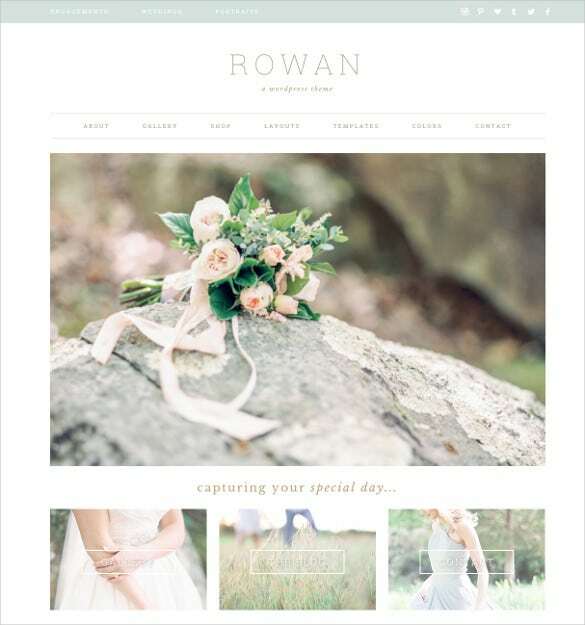 This is Rowan, a highly responsiveWordPress template that can be absolutely necessary for entrepreneurs, bloggers, photographers, and graphic artists. It comes with a customizable homepage, animated slider, filterable gallery page, landing page template, plugin styling for WooCommerce, and custom post sharing icons. 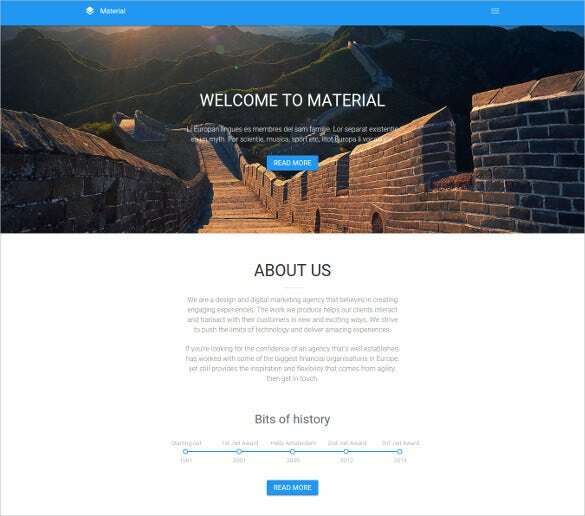 It also features several customization options for home page. This is a niche and clean template for photography and portfolio websites as well private blogs. It comes with sliced PSD, Dropdown menu, animated side bar, and Google web fonts. It is always the perfect web designing options for bloggers, photography artists, web developers, and entrepreneurs. It promises to be 100% compatible with any browser and device. 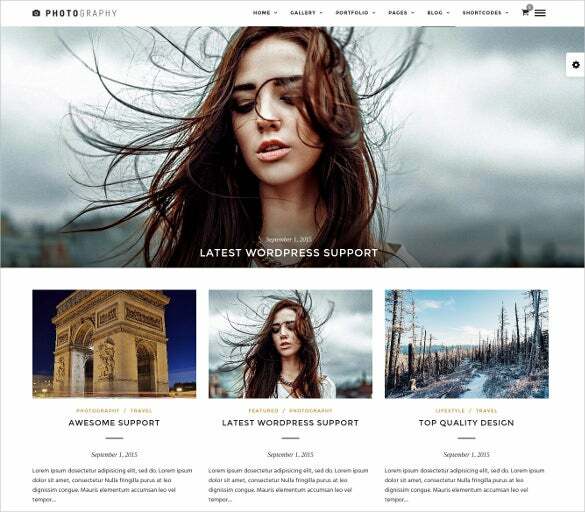 Photography is a beautiful responsive WordPress theme for graphic websites. 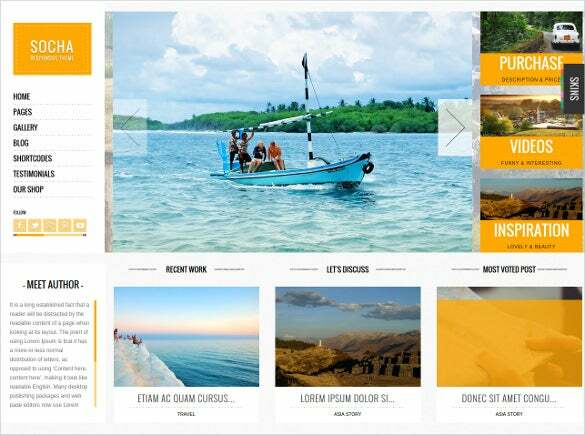 It comes with center align menu, stylish black frame, boxed layout, animated gallery grid, photo proofing, 8 menu layouts, and one click demo content view. It is perfectly suitable for photographers, design artists, graphic developers, portfolio consultants, and image bloggers. The neat html5 coding and CSS styling offer maximum customization options yet faster download and web response. Also the reliable bootstrap framework ensures optimal site performance even with maximum traffic loads. The templates include example documentation for easy installation and numerous high definition sample images for instant setup.